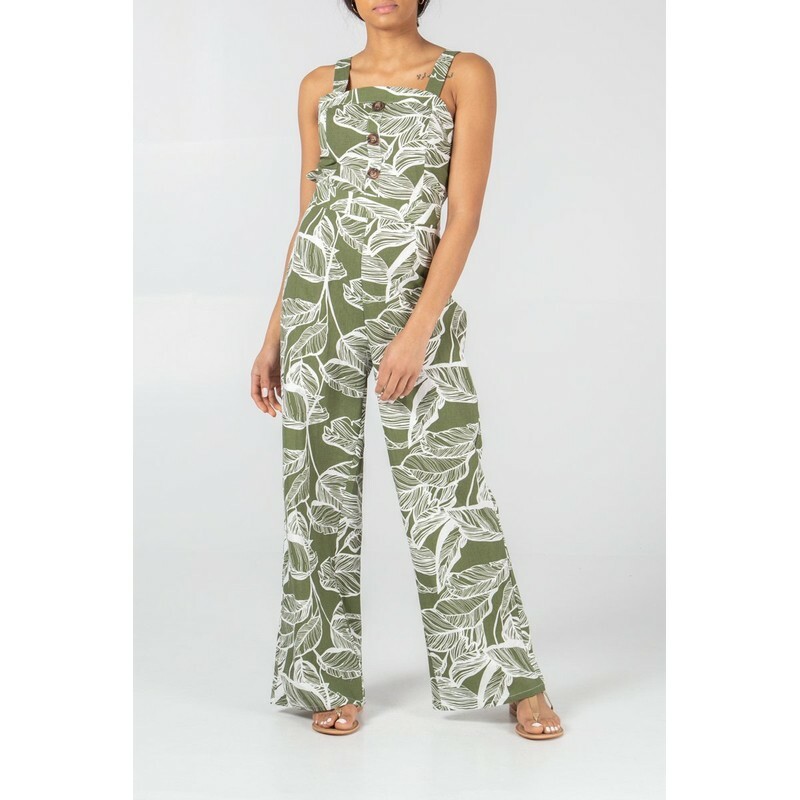 Linen Leaf Printed Jumpsuit is a wide long leg jumpsuit in a fun summer print. 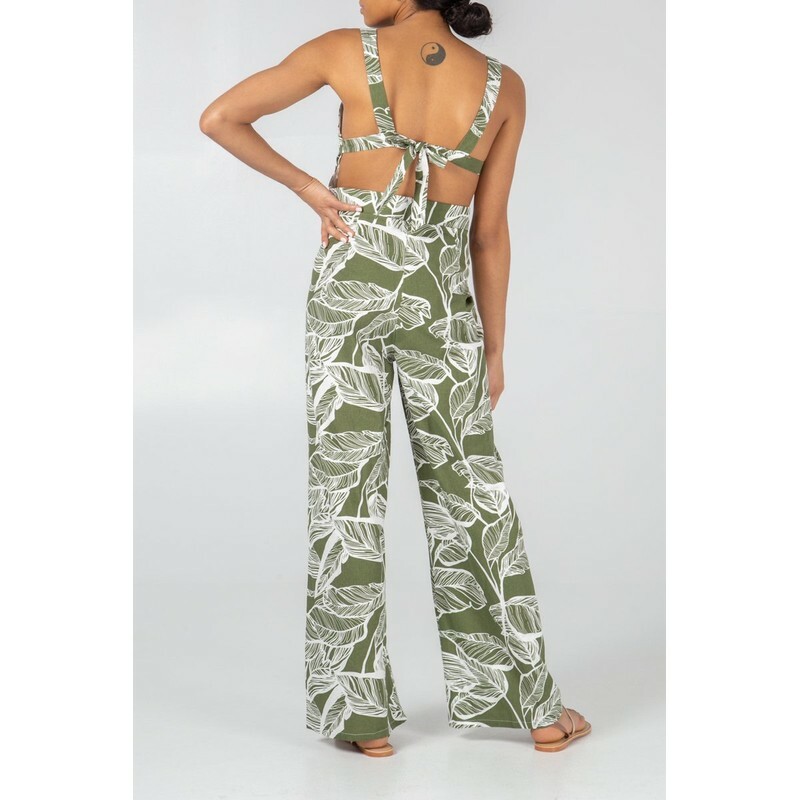 It has thin shoulder straps and three button front detailing.The back is open and tied across the shoulders with matching strap . 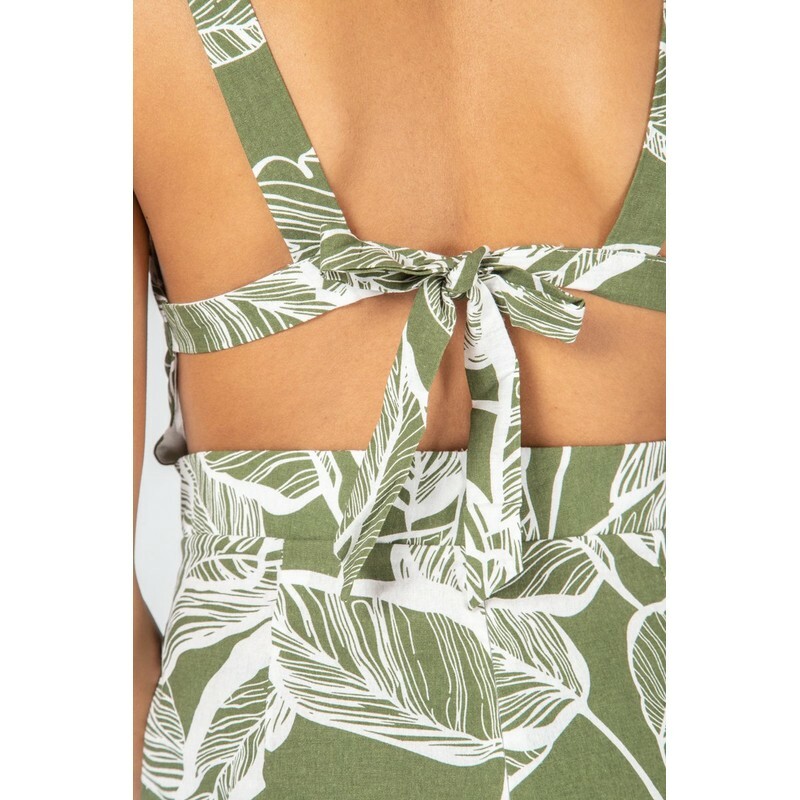 There is a back zip fastening to the waist.